We are a small, family run mail order nursery, and offer our plants for sale at various events up and down Vancouver Island, and ship across B.C. and Canada. We are not a retail nursery open to the public.
" A society grows great when old men plant trees whose shade they know they shall never sit in"
UPDATE: We remain closed for the 2019 season. Lots of new stock is under production for 2020. Feel free to browse the information and plant descriptions for an idea of what's coming and what's interesting to grow. We offer a limited selection of what are (in our opinion) plants with particularly outstanding features. If we sell it, we grow it. The bulk of our selection if grown from seed, or propagated from mother plants right here on the farm ensuring that our selection is locally proven. We are a small family run farm and nursery on Denman Island, BC--not a big garden centre, or 20 acre nursery, but a small operation with a diverse selection propagated in a garden setting. It all started when a couple of plant enthusiasts with a desire to create a forest farm and garden finally acquired a few acres with a good well and decent soil, and began a mad planting regimen. The intensively planted 2.4 acre farm and gardens are an early stage, in-progress example of a forest garden & farm. 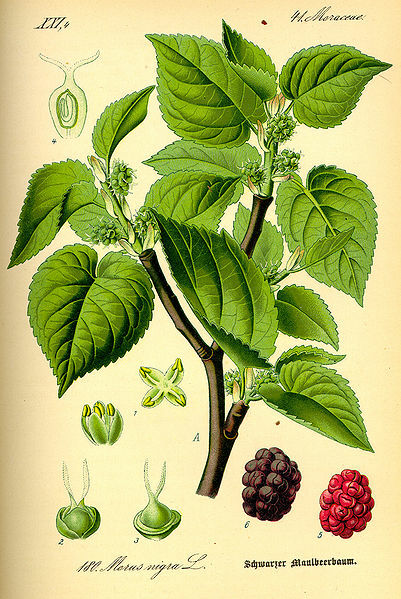 What looks, at first glance, like a cultivated landscape and extensive garden is also a productive and ever-expanding orchard of common and uncommon fruiting trees and shrubs, things such as persimmons, mulberries, goumi berries, jujubes, asian pears, medlar, pawpaws, and figs (to name just a few). Establishing bamboo groves add a year-round show of green while yielding edible shoots and fine timber at a fast rate: presently, the groves are doubling in size each season. In the second growth mixed-forest growing on an old logging railway grade a young forest of nut trees is taking root, eventually to be both the dominant forest cover and a productive nut grove. Many of the flowers are edible. Some plants aren't edible at all, beauty being, after all, a part of a fully functioning garden that transcends talk of 'zones' and 'yield' to feed that part of us unsated by the benefits of anti-oxidants, perfect proteins, and trendy 'super-foods'. While much of our stock is considered novel or unusual here on the coast, it has proven suitable for our mild but wet climate. Everything in our inventory has been grown or propagated right here on the farm, either from seed sourced locally and globally from similar climes, or from mother plants gathered from far and wide and established on our land. Our long experience with these plants means you can trust our knowledge: many growers, intrigued by the growing popularity of edible perennials and unusual fruiting plants but lacking experience with them promote inaccurate information about hardiness, flavour, size, and the like, and it is surprising how much conflicting and incorrect information abounds. We grow plants for beauty and utility: many of our plants combine the best of both. Permaculture types will find a number of hard to find perennial food plants available in our nursery. Conventional gardeners will discover rare and beautiful hardy flowering plants. We like to think the ideal garden has both, and this is embodied in our extensive plantings. Our plants are available for purchase year-round at plant sales and Seedy Saturday events up and down Vancouver Island, or online anytime. We ship across Canada (though customers outside Coastal B.C. should check zone hardiness before ordering). Shipping season generally runs from November to March, but with a few exceptions we can ship anytime. This website is a work in progress, with expanded plant descriptions and new selections coming soon. For general questions, contact us anytime.